Home > Can ECLC assist you? 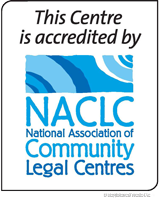 Eastern Community Legal Centre provides free legal advice by appointment only at the Centre’s offices in Box Hill, Boronia and Healesville and at outreach locations. ECLC cannot provide advice over the phone, and cannot advise on every area of the law. To find out if we can assist with your legal matters, please refer to the information below or contact us. We may be able to assist you if you live in another local government area and a conflict of interest has prevented you from using your local community legal service. We can only advise on certain legal matters, as determined by our Legal Advice and Casework Guidelines. If we cannot assist you, we will provide you with a referral to another service. *except as part of the Sort It! Deakin Legal Service for Students. If you cannot attend your appointment, please contact us to cancel. Interpreters can help you to make an appointment and will translate information during the appointment. We arrange interpreter services for you, free of charge. We prefer to organise an interpreter for you, so you do not have to rely on family or friends to interpret. This also helps to maintain accuracy and confidentiality of legal information. If you have booked an interpreter but can no longer attend your appointment, please contact us to cancel. 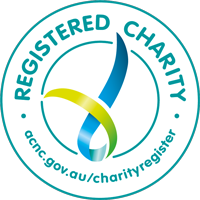 People who seek assistance from ECLC are entitled to privacy, fair treatment and a safe and stress-free environment. Please contact us to request a copy of our Client Charter and privacy policies.